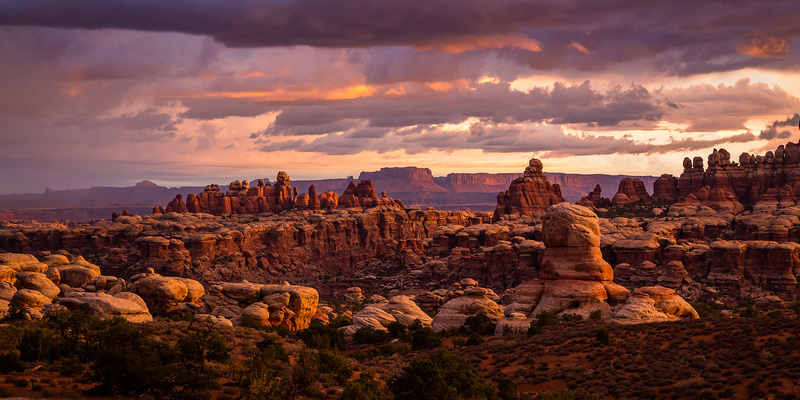 I was originally supposed to spend this entire weekend with Diane in the San Rafael Swell at the very first Backcountry Fest, but then Underoath announced a concert in Grand Junction on Saturday night that we wanted to go to which kind of messed up our plans. Instead of cancelling the weekend trip completely, I decided that I would still head down on Friday evening to meet up and hang out with the group at a campsite near Temple Mountain, and then I would go for a shorter hike by myself on Saturday morning before heading back home to attend the concert later in the evening. Thankfully this event wasn’t too far from home! 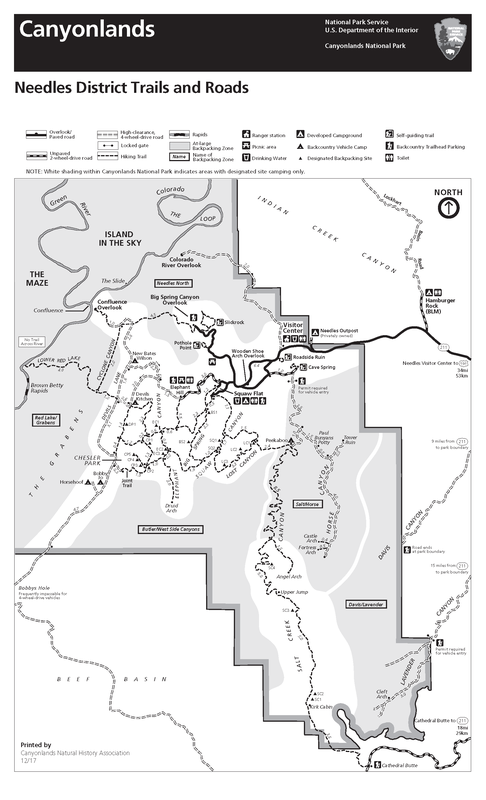 After looking over the official map for the Needles District of Canyonlands National Park earlier this year, I noticed that I had hiked just about every single trail on it, so I figured it would be a good goal to try and finish hiking them all this year. After hiking a few of those remaining trails earlier in the year, I only had a few segments of trails in the Big Spring Canyon area left, so Diane and I headed down to The Needles this weekend so I could finish them up in one big loop on Saturday. 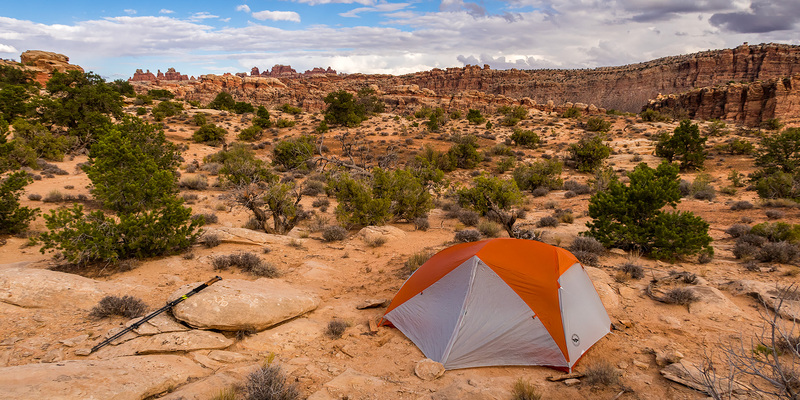 After spending the previous two nights at the Horsehoof Campsite in Canyonlands National Park it was time for us to move on. When we got our permit for Horsehoof on Wednesday morning we also picked up a backpacking permit for the Red Lake / Grabens At-Large Backpacking Zone for tonight, so we still had one more night left in the Needles District. 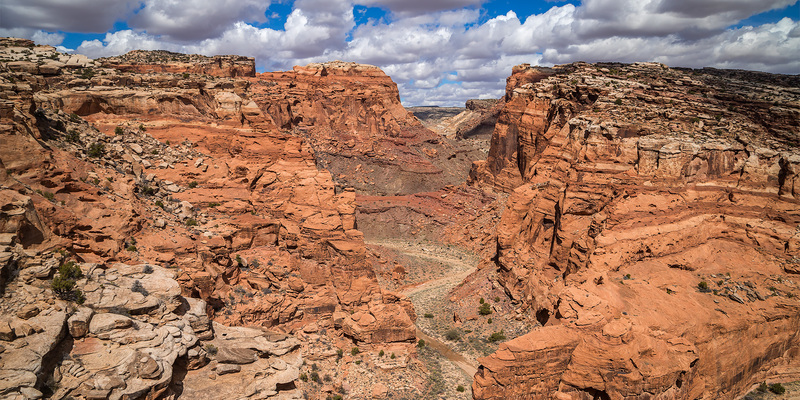 Aside from driving through Devils Lane a bunch of times and hiking down the Lower Red Lake Canyon Trail earlier this year, I had never really explored this remote area of the park and was looking forward to it. I really don’t think very many people venture out this way. 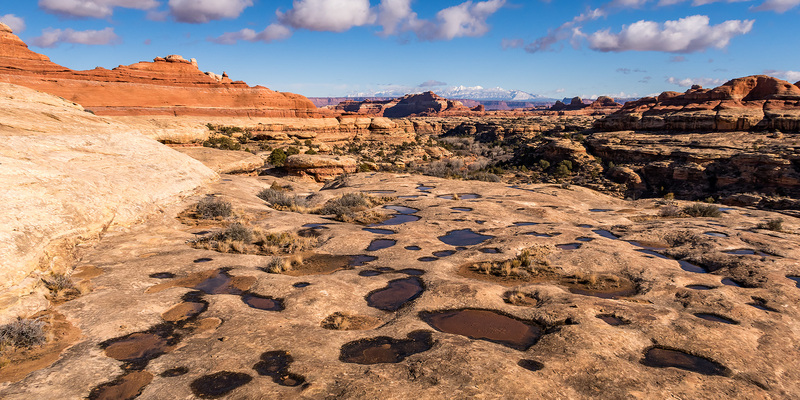 After driving into The Needles on Wednesday morning and spending the day exploring the fringes of Canyonlands National Park, it was time for us to spend our first full day hiking into Starvation Pocket. We had originally thought about doing this hike as an overnight backpack, but we were running short on time this trip and already had a different overnight trip planned, so we decided to just do this one as a long day-hike instead. In hindsight it probably would have been better to do this one as an overnighter since we found a lot of cool stuff and were unable to explore the whole area we wanted to. I guess that just means I will have to return again in the future for another hike here! After spending Sunday evening and Monday morning in Salt Lake City it was finally time to start my annual October trip to southern Utah. 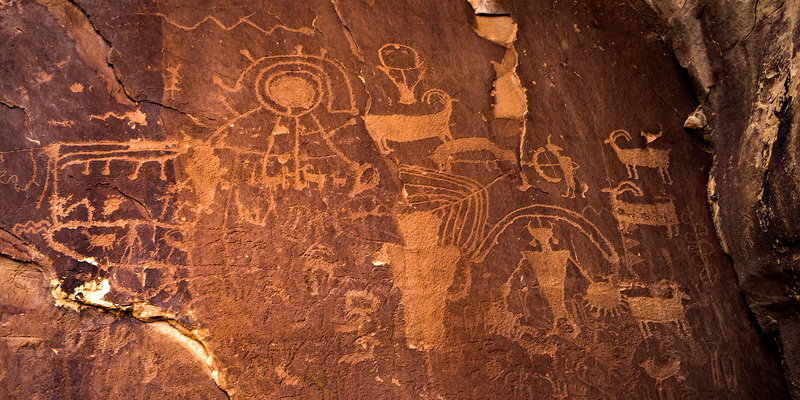 I planned on starting off the week by searching for some remote and little-known petroglyphs hidden in the backcountry of Capitol Reef National Park with my friend Jared. On our drive back from Salt Lake City, Diane and I stopped at Dennis‘ house in Price to pick up my Jeep. I had left my Jeep there on Saturday morning so we wouldn’t have to drive both of our vehicles all the way to Salt Lake City and I wouldn’t have to go all the way back home to Grand Junction to get it afterwards. From Price Diane headed back home and I made my way over to Torrey where I would be meeting up with Jared who had already been hiking in Capitol Reef all weekend. One nice thing about driving from Price to Torrey was that it finally gave me an opportunity to drive Highway 72 from I-70 to Loa through the eastern edge of Fishlake National Forest.